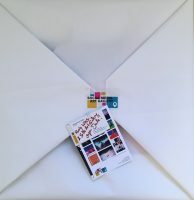 We do not only bring amazing photographs from social media channels into the real world as high quality prints. We also bring a certain rarity to the artworks. All artworks in the Social Media Art Gallery are limited edition prints. What does LIMITED EDITION PRINTS mean? Artworks in a limited edition have a set number of prints available. In our gallery, we only offer limited editions of maximum 20 prints. Once all 20 of the prints in the edition have sold out, there will be no other prints of this edition available in the market. You can buy our artworks either unframed, in a window mat, or ready-framed. Additionally, custom frame options are available in solid wood – choose from black, white, or natural wood frames in a classic style. Each framed artwork ships ready to hang – right out of the box. How is the limited edition VISIBLE and SECURED? 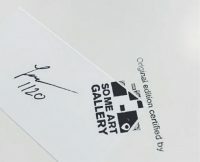 All prints are accompanied by a signed and numbered Certificate of Authenticity.